A true American institution whose iconic pop, country, and gospel hits defined their respective generations and now transcend them, B.J. Thomas has found a unique way to celebrate an incredible half a century in music. He is a five time GRAMMY and two time Dove Award winner who has sold more than 70 million records and is ranked in Billboard’s Top 50 most played artists over the past 50 years. 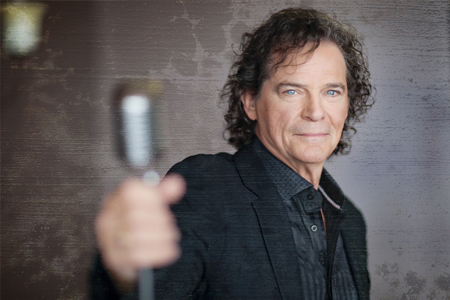 Thomas’ signature hits include ‘I Just Can’t Help Believing,’ ‘Don’t Worry Baby,’ ‘Hooked On A Feeling,’ ‘Raindrops,’ ‘Another Somebody Done Somebody Wrong Song,’ and ‘Lonesome’. The surprise emergence of the Oscar winning ‘Raindrops’ in a key scene in Spider-Man 2 in 2004 underscored Thomas’ continued place as an identifiable cultural touchstone, and in recent years—as he continues to do 60-80 shows annually throughout the U.S. and tour internationally everywhere from Australia and Hong Kong.